This course aligns with B-01;B-02;B-05;B-06;B-14;B-15;B-16;B-17 on the BCAT Task List. 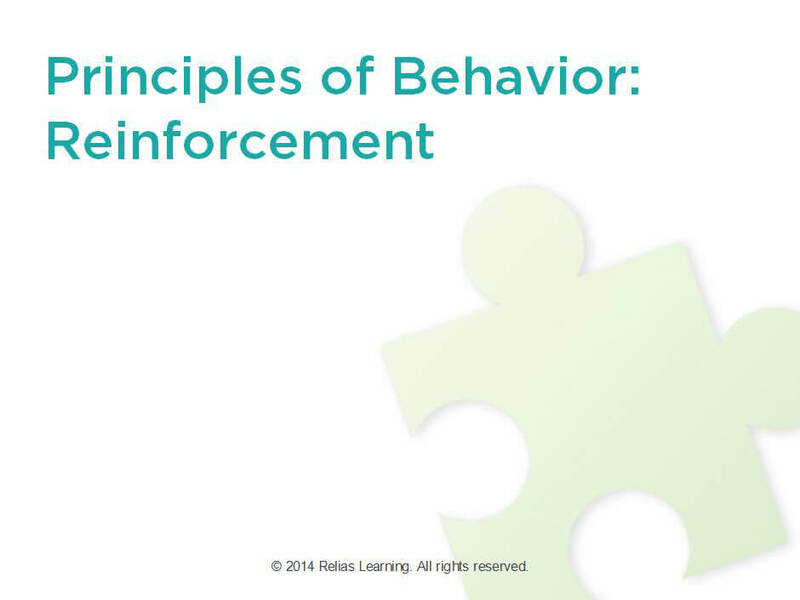 Describe the origin of the principles of behavior analysis. Explain and provide examples of positive and negative reinforcement. Explain the difference between positive and negative reinforcement. Explain and provide examples of punishment. Compare and contrast negative reinforcement and punishment. Amy holds a Bachelor of Science in Early Childhood Special Education from the University of Maryland and a Masters of Education in Special Education with emphasis in Behavior Analysis from University of Hawaii. She co-founded Autism Training Solutions, LLC in 2008. She has over 16 years' experience and thousands of hours of training in the field of autism and ABA as well as experience in teaching autistic children in preschool and elementary settings. She has worked directly with over 50 individuals with autism spectrum disorders between the ages of 19 months to 21 years. Disclosure: Amy Wiech M. Ed. BCBA has declared that no conflict of interest, Relevant Financial Relationship or Relevant Non-Financial Relationship exists.